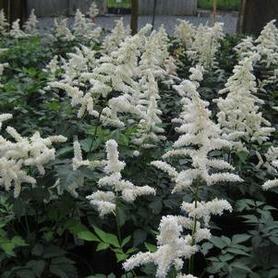 'Visions in White' Chinese Astilbe blooms in June and July, producing dense creamy white spikes over glossy green foliage. 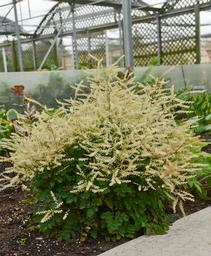 'Visions in White' is exciting because of its good tolerance for drier conditions. 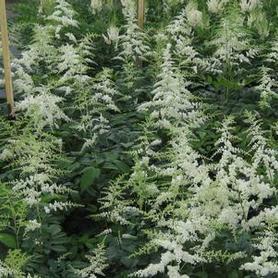 Like other Astilbe chinensis cultivars, 'Visions in White' extends the bloom time for Astilbes into early summer. Excellent for shade gardens and woodland edges.